Plumbing update: we still have a leak! 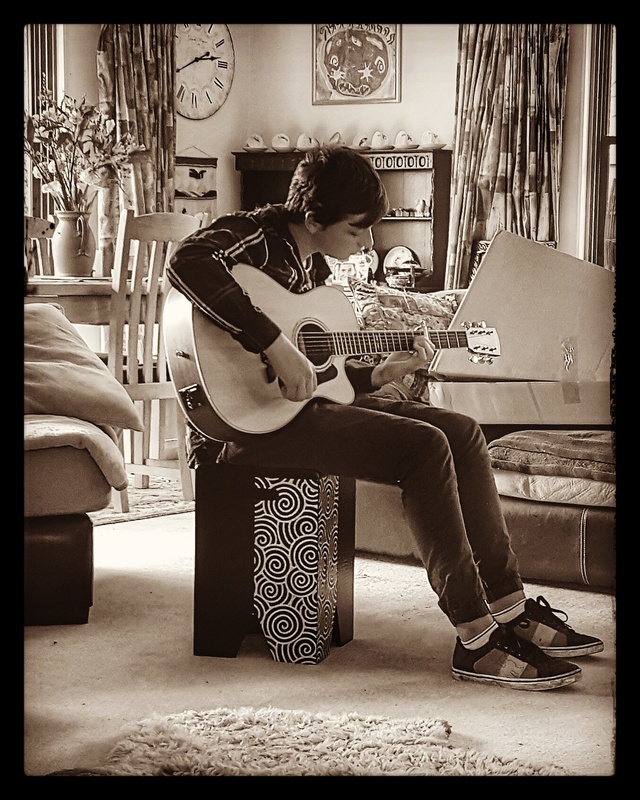 Aonghas is enjoying his early birthday present and we are enjoying the tunes. 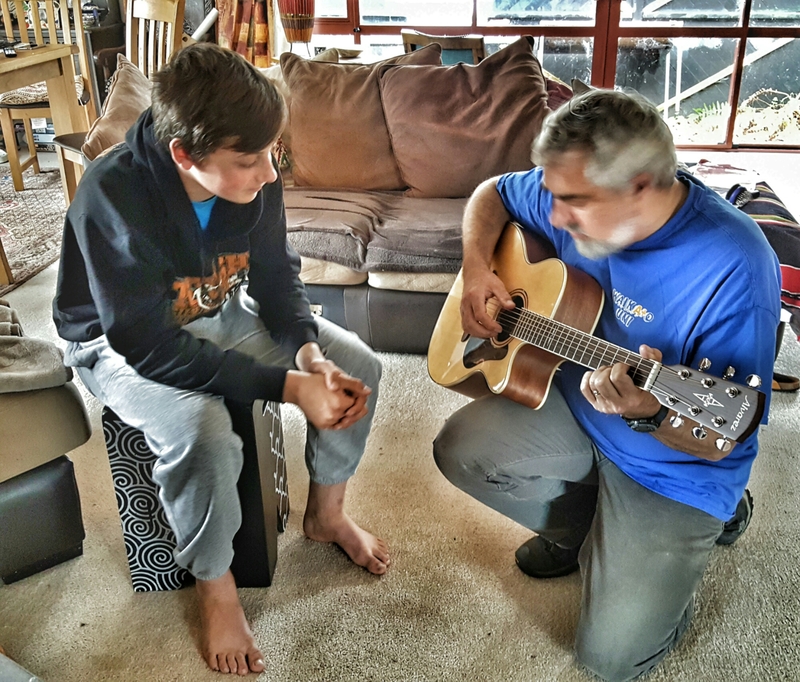 Caught this moment as Nigel tried to help him with finger picking… Love seeing my boys together.